Mark your calendars for the afternoon of July 18th for the first annual Ben Cushing Memorial Cush it to the Limit Golf Tournament. 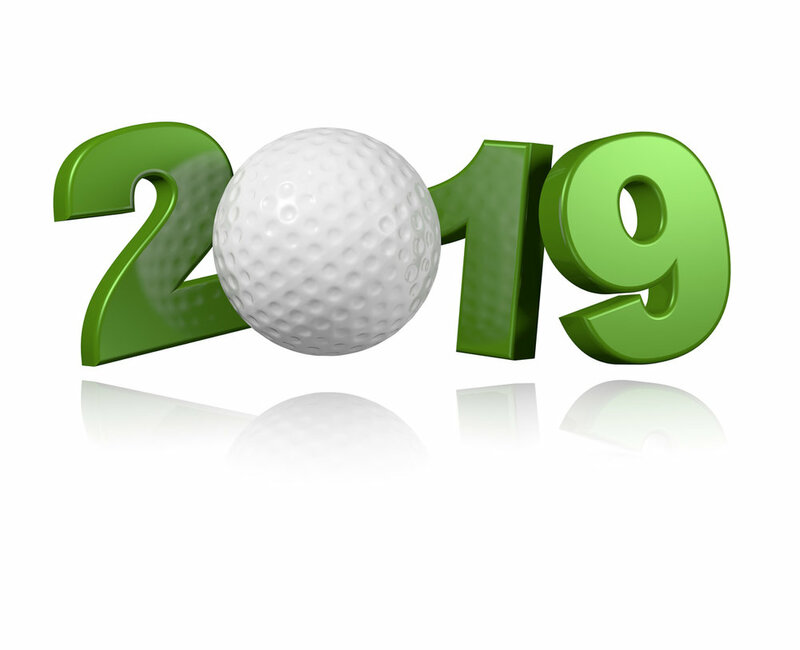 Tourney will be held at Snoqualmie Golf Course and net proceeds will benefit the research and defeat of rare blood cancers. Details will be posted here but feel free to contact Kathryn Stevenson with questions. Please join us for a fundraiser at MOD Pizza on the Sammamish Plateau and support research to find a cure for Hepatosplenic T-Cell Lymphoma. MOD has generously offered to donate 20% of their orders to Ben's doctor's research. All you need to do is order some great food and drink, and enjoy! For a Reason: Ben felt so strongly about finding a cure for the cancer that took him from us way too early. Let's honor his wish and have some fun in the process. Can't make it but still want to help? Not a problem, you can Donate Here! We are excited to announce a glassybaby pop-up road show at the May 15 MOD Pizza fundraiser. Representatives from Glassybaby will be at MOD Pizza from 4pm-8pm. Ten percent of the baby proceeds will go to CushItToTheLimit! This is a great time to stock up on birthday, graduation, teacher, wedding, and personal gifts and support CushItToTheLimit! In addition to a variety of glassybaby colors, they will bring their entire stock of Red Delicious (aka Big Cat). Supplies of Red Delicious are running low and are not currently available on their website. If you want the Big Cat etching, you can order it exclusively at the road show. Because their website is not able to take etching orders, this is your last chance for etching. Etched orders will be shipped to you within 2-3 weeks. For those of you who cannot attend the MOF Pizza night or want a color other than what’s on hand, got to glassybaby.com and use the giving code 'cushittothelimit' foronline orders from May 15th to 22nd. Use of that code will ensure that 10% of your purchase will also go to Ben's CushItToTheLimit fund. Thanks! 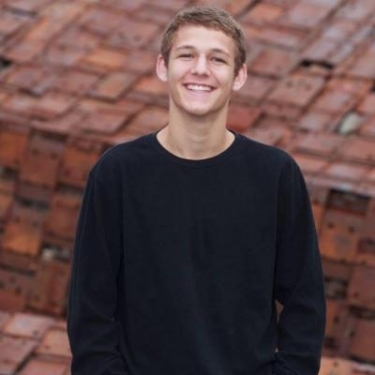 Please join us in celebrating the life of Benjamin Spragg Cushing. 28901 NE Carnation Farm Rd. Parking will be limited so please CARPOOL. Please dress warmly and wear your Coug gear, Big Cat t-shirt or your favorite sports team gear. If you would like to purchase a Big Cat t-shirt, contact Kristal Albertson. Please join us Tuesday night, 11/14, at the Issaquah Hop Jacks. Hop Jacks will be donating 20% of sales to Ben's Cush it to the Limit fund. Do it for good, do it for Ben. 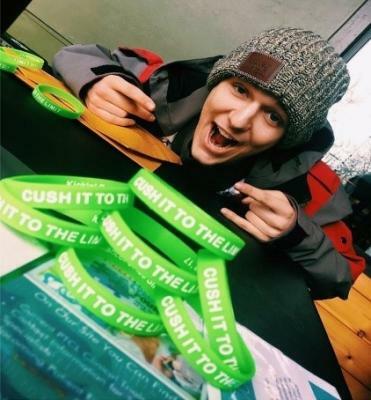 The Cush it to the Limit event at Bushnell Craft Brewery in Redmond, WA on August 24th was a huge success raising over $14K to help Dr. Shustov find a cure for Hepatosplenic t-cell lymphoma. It was so great to see the friendship and support from so many of you. And to those who couldn't make it, we feel your love and support as well. Thank you all and Cush it to the Limit! Learn more about Dr. Shustov and his work. 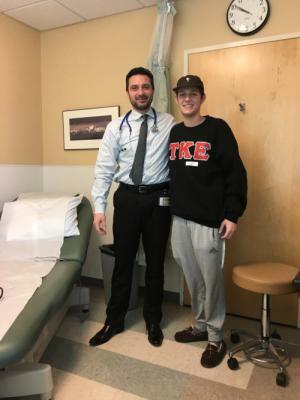 Learn more about Ben and his journey to kick cancer to the curb.